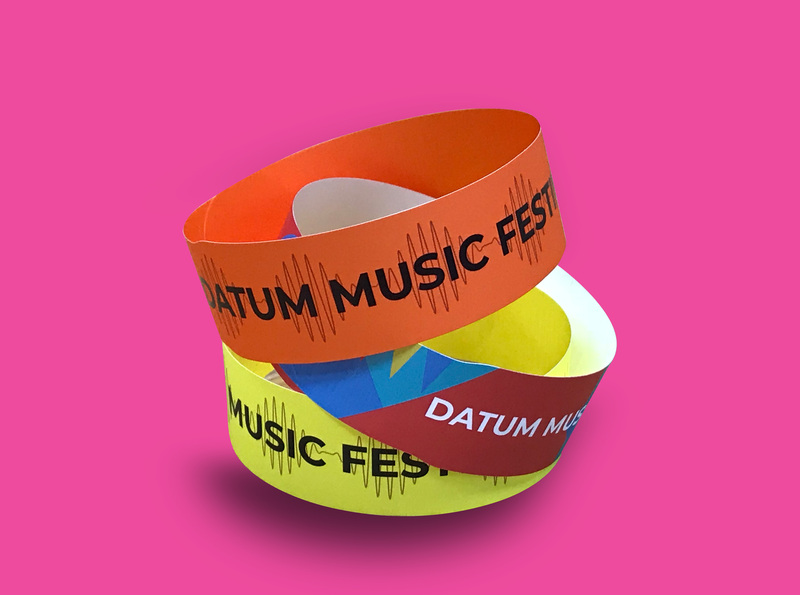 These popular wristbands are durable and cannot be removed without breaking the seal. They are ideal for a huge range of events including festivals, concerts and sports events. They are either supplied white with full colour printing or Neon Yellow with black only printing.